The Oil and gas industry in East Africa has been buzzing with activity since several exploration companies confirmed the presence of commercially viable oil and gas in the Indian Ocean. Everett Aviation has worked hand in hand with these companies, providing invaluable support to ensure success of their operations offshore. Passenger and cargo transport as required by the client. 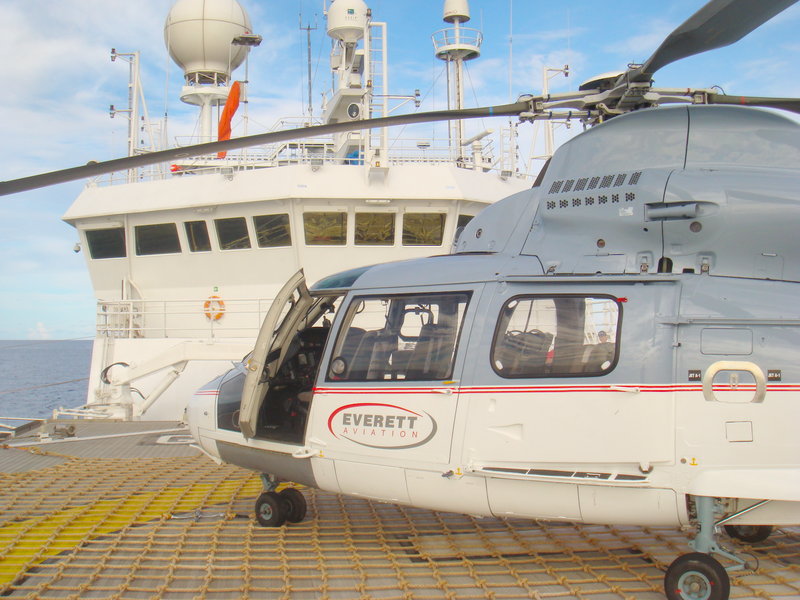 Everett Aviation has successfully operated offshore equipped BK117 helicopters for these missions but as the demand grew they added a Eurocopter AS365 Dauphin and the EC155 to their fleet of helicopters. In Q4 2013 Everett Aviaiton wil add three AW139 helicopters to their offshore operation. Several helicopters can also be equipped with a cargo hook and a rescue hoist as per client’s needs. A matrix of aircraft and optional equipment can be found under the "Fleet" tab. All our helicopters are equipped with a satellite based flight following equipment which provides real time position, altitude and airspeed reporting from the moment the helicopter is powered on until it is powered off. This allows a greater level of contact and communication with ships offshore because, besides radio contact, they can also follow the helicopter’s flight activity throughout the mission.